Located in front of Publix. Over 44,500 cars per day on Eglin Pkwy. and 29,000 on Racetrack Rd. 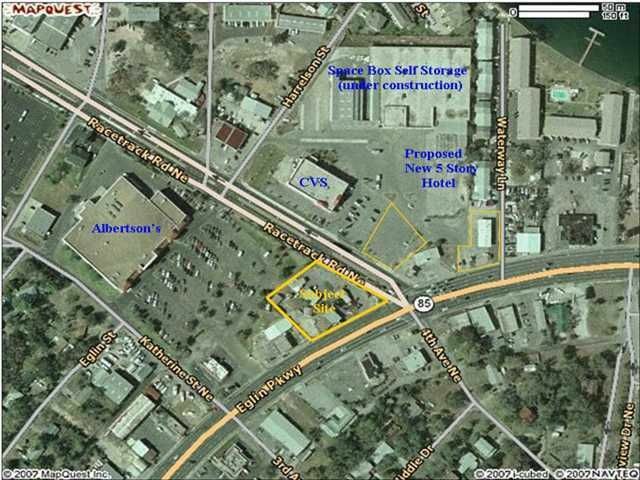 Nearby businesses CVS Pharmacy, AutoZone, Marriott, Simply Self Storage, Wood Spring Suites Hotel, and Dollar Tree. 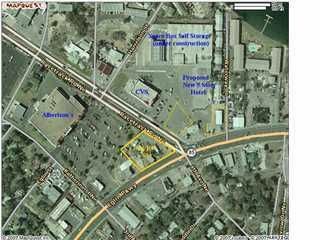 1.7 miles from Eglin Air Force Base land. No tenants presently. Has billboard income.